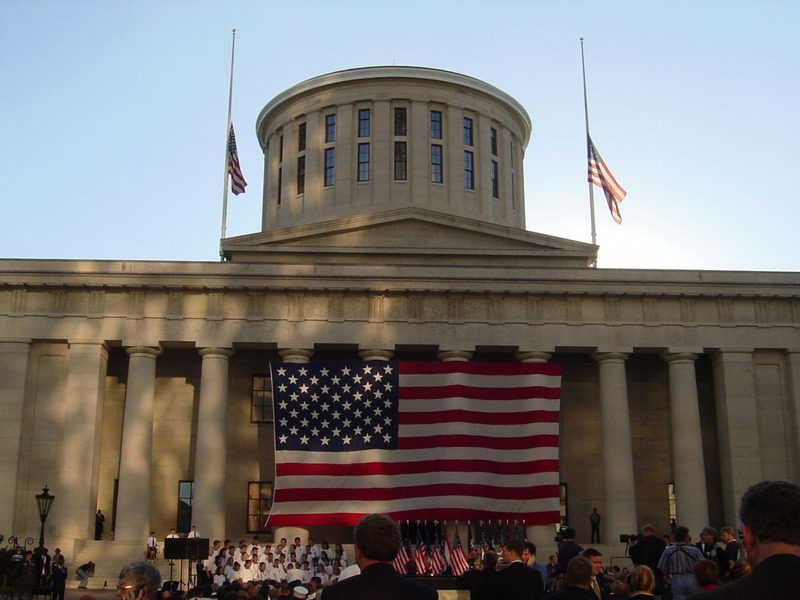 This is a photo diary of the day I spent in Columbus, one year after the national trauma. 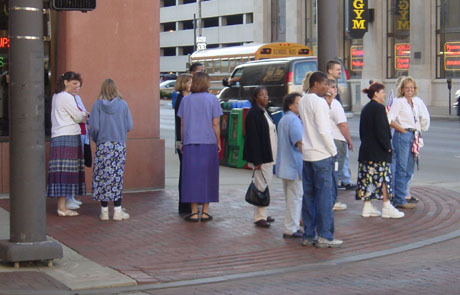 People walking to the Statehouse. 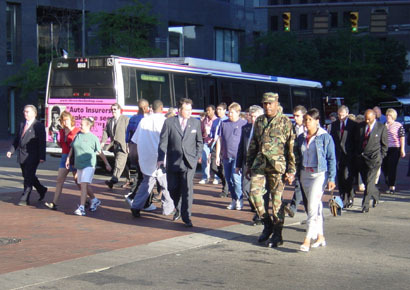 People crossing Broad Street to the Statehouse. 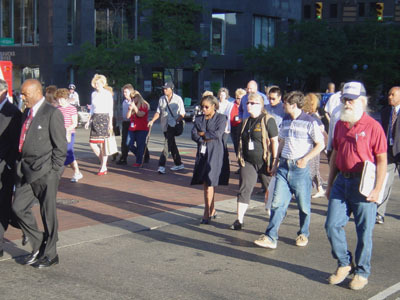 More people crossing Broad Street to the Statehouse. The Statehouse, with a huge American flag. 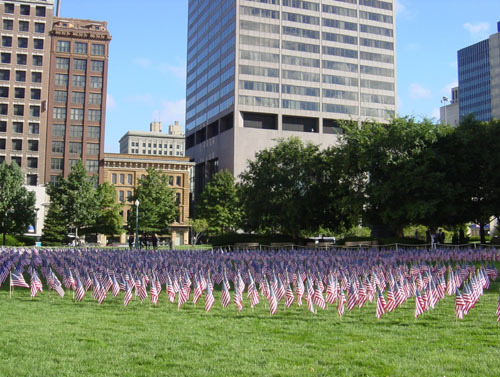 Every flag represents a victim of the attacks last year. 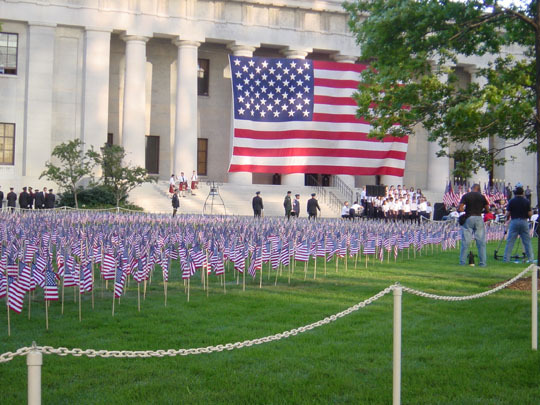 The flags are arranged in two rectangles representing the towers, with a five-sided space for the Pentagon and for the Pennsylvania field. 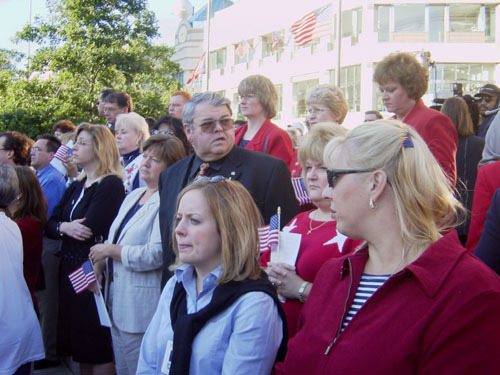 People at the program. The schedule contained Ohio front-line rescue workers who had been sent to New York, as well as the singing of patriotic songs. 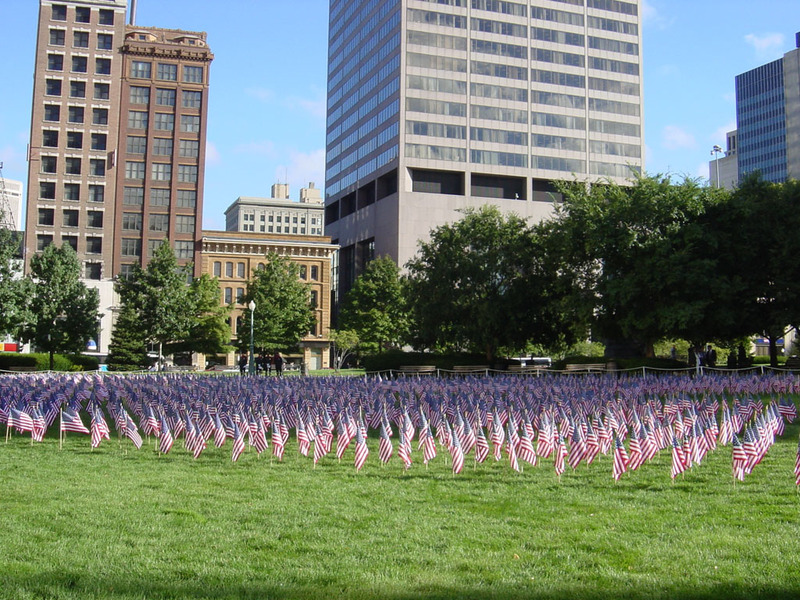 The field of flags. 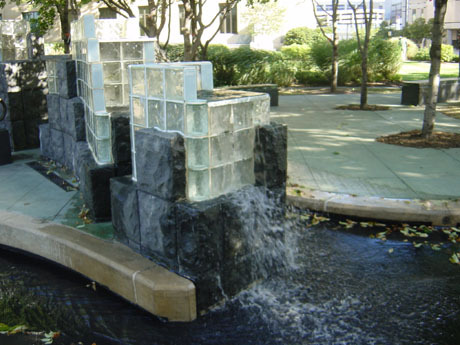 Larger image. 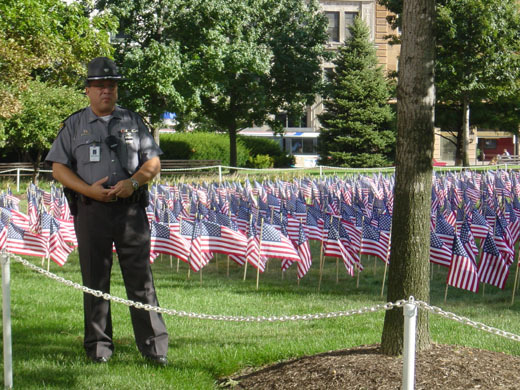 The field of flags guarded by the Highway Patrol, which is responsible for the Capitol. 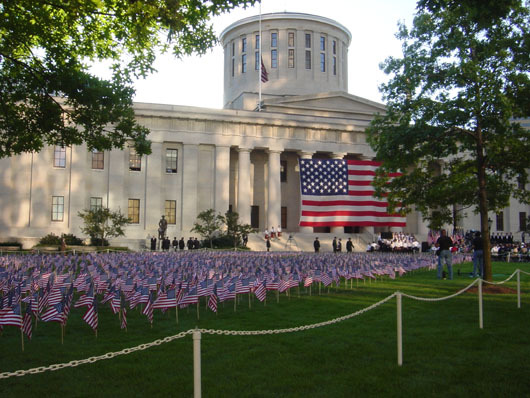 The Columbus Firefighters Memorial. I decided to stop here for reflection on my way home. 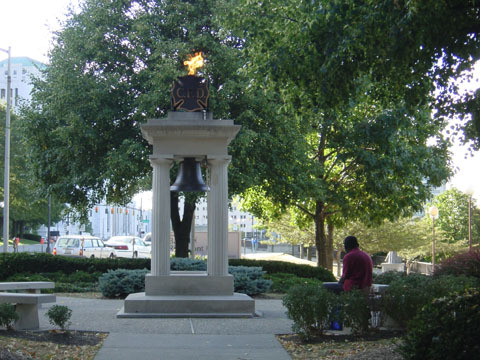 The eternal flame at the memorial park.